Looking for best app for editing video on iPhone and iPad? We have a create a list of apps for best video editing on iPhone and iPad. iPhone from Apple comes with the best quality and easiest to use smartphone cameras and a large number of users love to take the full advantage of this great feature of this device by making awesomely shot videos. Once you are able to have those footages, you would love to find a way to do professional looking editing of your videos. 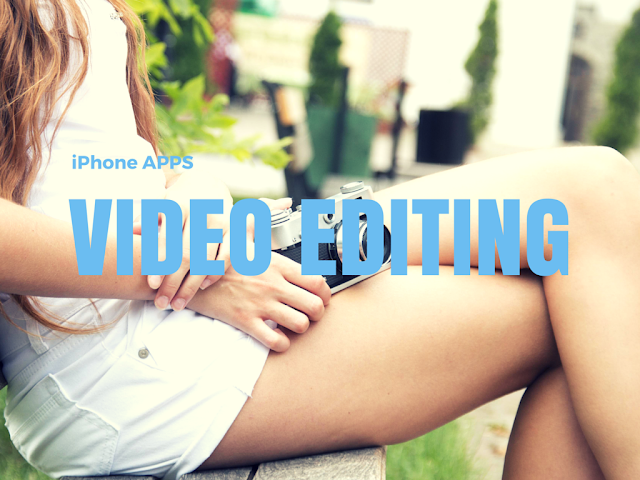 Though, you can use its built-in-editor, there are some other much better and easy to use apps available from third party which have been designed with more editing options and will surely be very helpful to give more shine to your videos. Best iPhone video editing experience will be guaranteed when you choose the right app for your task. App store has a large variety of video editing applications which have the full potential and capabilities to replace desktop editing tools. Some of them are designed to turn extremely boring and unwatchable videos into remarkable shots and most important thing about it is that this all can be done just in few minutes without making lots of efforts. In this article, you can read and find a list of some of the best video editing tools for iOS and android devices. Android users may also like best android video editing apps. 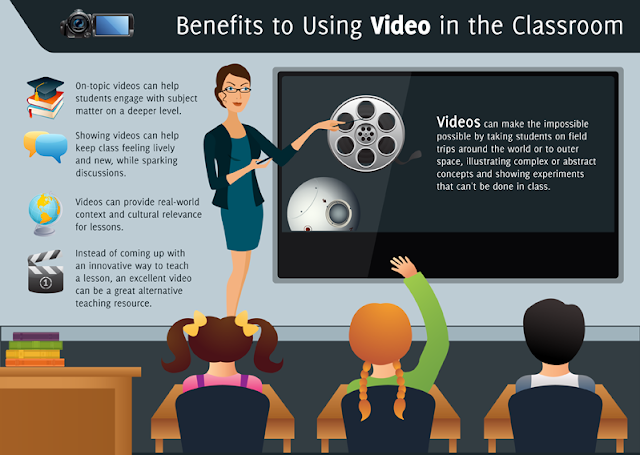 Why Classrooms Are Using Videos? With recent advancements in education technology, many schools and teachers prefer to use videos for educating students. Having short and explanatory video on each topic is easier for students to follow up and learn the topic at their convenience. Teachers can record a lesson on small topic for students and have them visit it on their convenience. This ensures every student in different class is able to access the same information. This is one of the best video editing iphone app on iPhone for people doing first time video editing. If you are a beginner and don’t have much experience and skills for editing videos, Magisto can be the best tool for you as it does not demand you to have some kind of special skills or technical knowledge to use this tool. This particular app has come up with exclusive tools to perform variety of editing tasks. One of its unique features is matching of audio with the video even after you have created your movie. When you get the subscription to the app, you will be able to create longer videos, download videos and get the allotment of cloud storage. You may also want to checkout similar apps that can help you download youtube videos on your computer. Another great app for beginners is Lumify. If you have never used any apps or tools in the past for video editing, this can be second best option as it has come with all important tools, effects and filters that you may need to create something different that can catch the eyes of viewers. The best thing about Lumify is that it does not limit you to share your created videos on just one to two sharing sites but you can share wherever you want. If you want to shoot in widescreen or even in normal one but also want to add slow or fast motion, VivaVideo can be best option for you as it has a videocam which will allow you to do so. By adding special effects and filters, you can create excellent short videos which can be uploaded on instagram. If you are interested in making photo slideshows instead of videos, you can use its photo movie maker. If you are more active on Instagram and need awesomely created short videos to upload, REPLAY is an ideal tool app for you as it has come up with variety of editing tools which will enable you to do your best. You can choose sources right from camera roll or if you need to record an exclusive video, the app is there for you. Once you have done editing on movies, you can share them right from the app to the most popular social networks. The app also has watermark removal and will also bring you more effects and filters. Splice is another powerful app for video editing and it will bring you some highly quality desktop movie editing tools. Splice enables you to match and mix photos, videos and music and at the end you will have a perfectly shaped masterpiece. When you are using splice, you have precise control over audio and video timeline. With the subscription to the app, you will also be given additional transitions and effects to add on your movies. For better editing features on audio and music checkout music editing software. MixBit is a mobile based video-sharing website and it allows you to use an app which will enable you to record video clips and once they are recorded, you can also edit and trim them. Moreover, this will also allow you to convert multiple clips into single. Remixing of clips can also be done on the videos which are uploaded on site by the other subscribers. Once you have created a movie, it is yours now and you can download it and share it wherever you want. YouTube Capture has been designed to edit, trim and stitch videos. Once you have the final version of fully editing clip, you can also include background music or soundtrack of your choice. Before you finally share the clip on YouTube, you can also check out color stabilization and if you see any imbalance, color correction can also be utilized. This is a simple tool but has a lot of great features for the users. This exclusive app is for those who wish to create music videos and with the help of this tiny app, they can get access to all of those tools that they need to create fantastic music pieces. When you are ready to test your creativity, you can choose most popular song from the in-app music library or you can even make a choice from your personal music library. If you get the subscription of the tool box, you will be given access to a large collection of effects that can be added to the videos. Cute Cut is a well featured video editing tool exclusively developed for iOS devices and unlike many other tools, it will also allow you to add interesting and informative texts to the videos. The editing timeline facilitates the users drop selected video clips, photos, music or other type of media files to add on timeline for quick editing. If you get paid subscription, you will also be allowed to get access to the tools for easy watermark removal and for creating longer clips. iMovie is an easy and quick video editing app from Apple and it has been made available for everyone who owns newer versions of iOS devices and want to get access to the most powerful editing tools. This is the most recommended app for the iOS users because it brings almost everything that is needed by video editors. Once you are done with the video editing projects, you can also move them to Mac for additional editing if required. Sarah Parish is a digital marketer and consultant who run her online platform (1ClickDissertation) of dissertation writing help providing advice and solutions to those who are new to education world. Her content has been featured on numerous mainstream websites blogs and social for e.g. twitter etc.